Noot vir Noot is an iconic South African musical game show produced by Stemmburg Television which features contestants who put their popular music expertise to the test by playing the show's musical games in a series of challenges. Each episode features four contestants battling it out against each other by interpreting different musical clues. One contestant wins per episode and after every three episodes the winners from each week face one another in a semi-final. Two similar rounds follow and the three semi-finalists play to be champion in a finale showdown. A guest artist also performs a medley of five songs as part of each episode. The contestants audition to be part of the show - however it is important for them to have some musical knowledge in order to be able to play the games. Noot vir Noot is officially the longest running game show in South Africa and also the most popular Afrikaans TV show ever. The show gives new artists with debut albums the opportunity to audition and perform in front of a live audience. Die Musiekfabriek (The Music Factory) is the show's studio band. Each contestant is given a South African song to identify. First they get a general clue, then they choose their own sequence of four additional clues, for instance a pic of the artist, a part of the lyrics, or a part of the song played for them. With each clue they choose, the amount of money they can win goes down - so the faster they get it, the more they win. The Musiek Fabriek plays a tune which contestants have to match to one of the pictures on the board. It can be quite a straightforward match, or some obscure thing like a picture of a cat can be matched to a song from the musical Cats. Contestants answer a general knowledge question and are then shown a word from a song title. If they guess the song title without a clue they get R400, if they are given a clue and get it they get R200. One of the titles is normally a “sing” block and if they can sing a note or two from that song they get some additional money. This follows on from the Titeltoets. When all the titles of the game are revealed, contestants must take one word from each title and make a new song title. A line of lyrics from a song appears on the board in a scrambled way. Contestants have to put it together in it's proper sequence for which they win money and if they can say which song the lyrics are from they win double the amount. Some words drop into the correct slot until they get it, but of course the money gets less. Johan gives clues to a song – like artist, what it’s about etc and whomever guesses the song correctly must start singing it until Johan decides they can stop. If they sing the correct words, they get R300, if they make up words they get R200 and if they start to sing but then stop, or go la-la-la they get R100. This is the game played after two contestants have been eliminated, to decide who goes to the final to play Maak-of-Breek. Players are given a single note, Johan reads a clue and they have to guess the song. If they can’t get it, they get two notes and so on until one of them gets it. If the first person gets it wrong, the other one can choose any amount of notes to try to get it. If they succeed in getting it with one note only they get R1000 and if they use ten notes they get R100. The person who wins the game, gets to play this. They are given 25 seconds to identify four songs. In this time the money meter counts down from R50 000. If they manage to identfy all four they have to identify one final song in order to double whatever is left on the money meter. If they get any song wrong at any time, they lose everything for that game but still get to keep whatever they've won during the show. 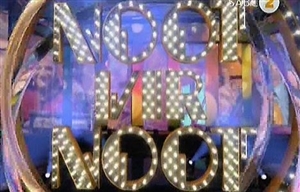 Noot vir Noot is the longest running game show in South Africa. It's produced by Stemmburg Television which is owned by the show's presenter Johan Stemmet and musical director Johan van Rensburg. In 1997 the rights for the format were bought from Stemmburg Television by London Weekend Television and the show was broadcast in the UK as Michael Barrymore's My Kind Of Music. The show's studio band is Die Musiekfabriek (The Music Factory). In 1995 the show released a boardgame that includes a CD by MusiekFabriek as part of the game. The show first introduced SMS competitions for viewers to play along in Season 27. The Noot Vir Noot Roadshow was established as an annual event in 2004. The show travels with celebrity guest artists through the small towns of South Africa for several months each year. The first eight seasons aired on TV1, which became the modern-day SABC2 in 1996. There were 13 episodes in the first eight seasons. This was increased to 14 episodes per season when the show debuted on SABC2. The show changed format after 31 seasons and increased the number of episodes per season to 22, starting with Season 32 in 2009.